Hai Tong Metal Products Limited is a definitive source for custom metal stamping and sheet metal parts services. 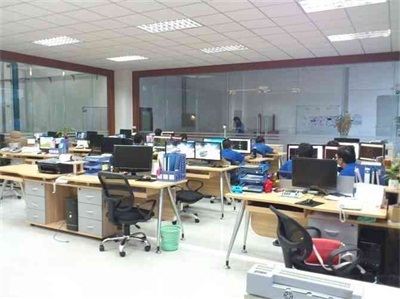 We have been established in 2003 and located in Guangdong, China and with 1600sqm, We have succeed in continuous growth accompanied by our reliable commitment and on-time delivery to customers and our ability to supply our valued customers with the most excellent quality and cost-effective metal stamping and sheet metal fabrication services. HAI TONG are continuously upgrading machinery to catch up with customers’ demands of the precision and low cost stamping parts as well as training our employees at interval with the latest manufacturing technologies. Our experts and professionals are trained to handle the complexity of manufacturing for both long and short run stamping parts. Further, we offer value added service to your stampings, for example, TIG welding, Spot welding, MIG welding, Grinding, polishing, brushing, powder coating, painting, e-coating, plating, gift box packing, which make your metal stamping parts more durability and more elegant on appearance. We manufacture an extensive range of quality metal stamping parts and sheet metal parts for various market sectors worldwide including Household appliance, Automotive, Motorcycle, E-Bike, architecture, Lighting, Medical, Energy and Power transmission, Furniture and Electronic industries. We focus on more personalized service to specific customers, which few companies nowadays care about any more. We combine traditional manufacturing and latest technologies together and bringing added value to every single stamping part we produce. HAI TONG is your metal stamping partner of choice to help you maximize productivity and position your company for continuous success. 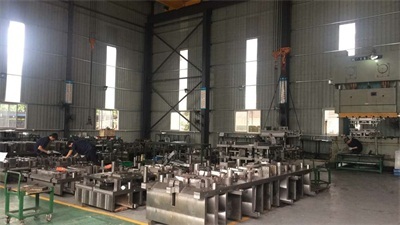 We can perform stamping, fine blanking, bending, NCT bending, progressive die stamping, deep drawn stamping, wireform, laser cut, TIG welding, grinding in house, which can meet your requests for different processings from one supplier. China OEM metal stamping parts company supply good quality metal stamping parts to lighting, household appliance, heating appliance, hardware, architecture, IPTV set top box, DVD case, medical, led lighting, widely used as metal casing, metal case, metal stamped casing, metal housing, sheet metal casing, metal box, metal bracket, metal clip, metal clamp, metal plate, steel plate, nail stamping plate, the material we used is iron, mild steel, carbon steel, stainless steel, aluminum, copper, galvanized steel, SECC, SPCC, etc. We involve in all stages of new projects from design, prototyping, short run production, mass production, share production knowledge with customers.